Small Business Week is being celebrated across the United States this week. Each year small business owners and the advocates of small business are recognized for their contributions to the American economy and our society. 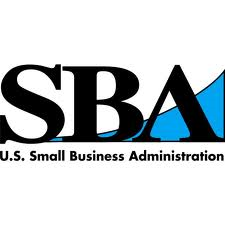 On Thursday, June 20th, three awards will be presented to business community members of southeastern Indiana at the 2013 Indiana Small Business Week Awards Luncheon at the 300 Spring Street Banquet Center in Jeffersonville. The U.S. Small Business Administration (SBA) Indiana District Office is recognizing Schimpff’s Confectionery of Jeffersonville, as the 2013 SBA Indiana Family-Owned Business of the Year. Schimpff’s Confectionery is a fourth generation business. The company was started in 1891 by Gus Schimpff Sr. in a shop at 347 Spring Street. Schimpff’s Confectionery operates as a candy store, soda shop and a museum about American candy manufacturing. Owners Warren and Jill Schimpff will be honored for carrying on the tradition at the June 20th presentation. Le Anne Kruer Scott, Senior Vice President of Your Community Bank in Jeffersonville, will receive the 2013 SBA Indiana Financial Services Champion Award. Beyond her 25 years of work in the banking industry, Scott has spent countless hours as a volunteer to ensure that southern Indiana entrepreneurs have money to start and grow their businesses. This includes committee memberships on the Horseshoe Foundation which has provided $750,000 in revolving loan to Floyd County small businesses, and on the Urban Enterprise Zone Revolving Loan fund. Kimberly Martin-Dawkins, Vice President of PNC Bank in New Albany, will be recognized as the 2013 SBA Indiana Women in Business Champion. Martin-Dawkins has served on the Board of One Southern Indiana since 2008 where she participates on several committees including the Women in Business committee. As chair of the Diversity and Inclusion Conference, Martin-Dawkins led an event that brought women business owners from five states to meet with corporate purchasing decision-makers. Jack Thompson, who started Building Associates, Inc in 1983 in Bloomington, Indiana, will received the 2013 Region V Prime Contractor of the Year Award. Building Associates has grown into one of the most well-respected members of the grater Bloomington area business community. The Southeast Indiana Small Business Development Center (ISBDC), PNC Bank, Premier Capital Corporation, Your Community Bank are sponsoring the 2013 Indiana Small Business Week AwardsLuncheon at 300 Spring Street Banquet Center in Jeffersonville on June 20th. Dr. Uric Dufrene from IUSoutheast will be the keynote speaker.Community members are encouraged to attend the June 20th event. Cost to attend the luncheon is $30 with tables of 8 available.